Even back in winter, Australians were bracing themselves for fire season. Three out-of control fires in NSW: one near Nowra, one near Ulladulla and the other in the Bega Valley developed early in the season destroying property and causing injury and evacuations. Fueled by the drought, there were a total of 81 fires burning in NSW at one point. 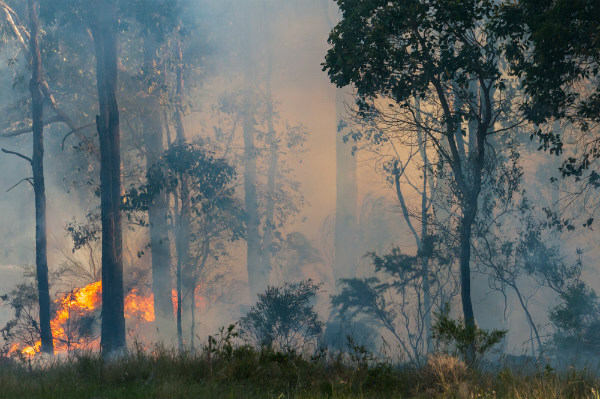 Citing the record breaking fires in California, and the recent disaster in Greece, Richard Thornton, CEO of the Bushfire and Natural Hazards Cooperative Research Centre, said that fire agencies were planning for the worst in the warmer months ahead. Now that fire season is upon us, could firefighting drones be the secret weapon firefighters need to help them contain fires? Water bombers are now commonplace when it comes to firefighting, and we may soon see drones added to the firefighting arsenal. But what role will drones play? In California, the MQ-9 Reaper drone is being used in areas where heavy smoke prevents piloted aircraft from flying. The Reaper maps the behavior of a fire in real time, recording thermal imagery that can be analyzed and shared with California Fire chiefs. Earlier this year, The Department of Environment, Land, Water and Planning in Victoria announced a panel of drone companies to help tackle fires in regional areas. “The systems can be utilised for a range of things, real-time mapping of fire fronts and blazes, using thermal cameras,” he said. While drones are primarily being used for monitoring purposes, technology is rapidly improving and there are hopes of seeing fire bombing drones in the not too distant future. Drone technology is advancing at a rapid rate and there’s no better time to enrol in a drone training course. Total RPA has Australia’s leading CASA-approved UAV, RPA and Drone Certification Course selection. Our drone training and consulting packages are available Australia wide, so secure your spot today. Got a question? We are happy to help with any drone related question! Get in touch with us.